Feedback on the Rutherford town centre proposed 40km/h zone has now closed. 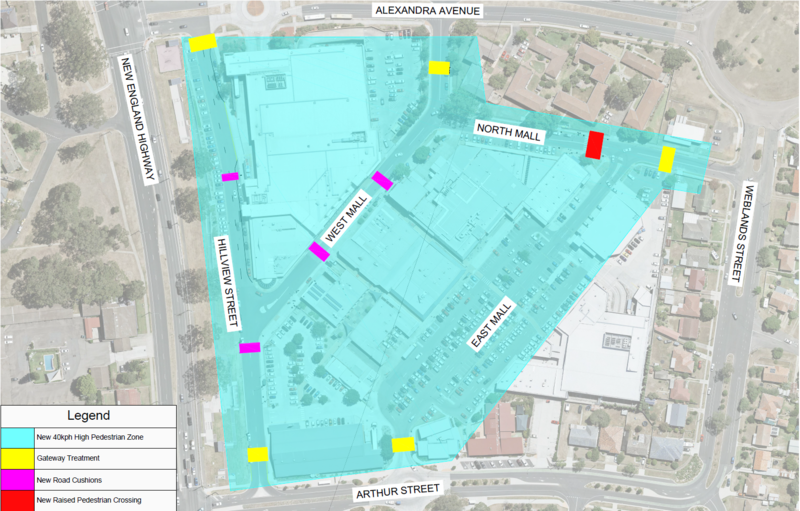 Council proposes to introduce a 40km/h high pedestrian activity zone in the vicinity of the Rutherford town centre at North Mall, East Mall, West Mall and Hillview Street. As part of introducing this new speed zone, traffic management treatments to calm traffic are also proposed. Treatments include textured pavement at entry points to the area, speed cushions and a raised pedestrian crossing. These treatments are in addition to the existing traffic treatments in the zone, all of which will remain in place. Prior to its application to the Roads and Maritime Services (RMS), Council is seeking feedback from the community on the 40km/h zone and proposed location of traffic management treatments. Feedback can be provided to Council up until 14 December 2017. 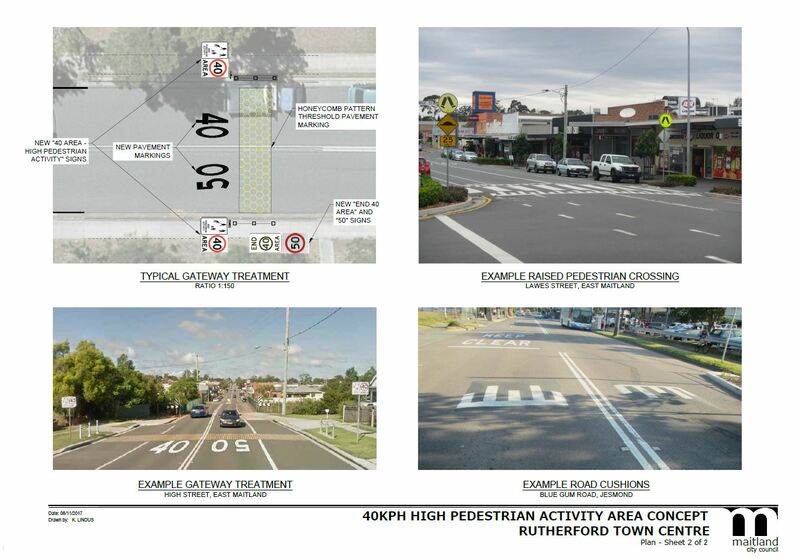 Feedback on the Rutherford town centre 40km/h high pedestrian activity zone can be provided via an online submission (below) or in writing to the General Manager, PO Box 220 Maitland NSW 2320. You can also make a submissions to the RMS via their website secure.rms.nsw.gov.au/contact-us/ or to RMS Hunter Regional Office, Locked Bag 30, Newcastle 2300.